A demanding climb through fine forest leading to magnificent 360 degree views of the land and seascapes around this fine coastal peak on the south-east of the first major island off the south west of "mainland" Japan. Mt. 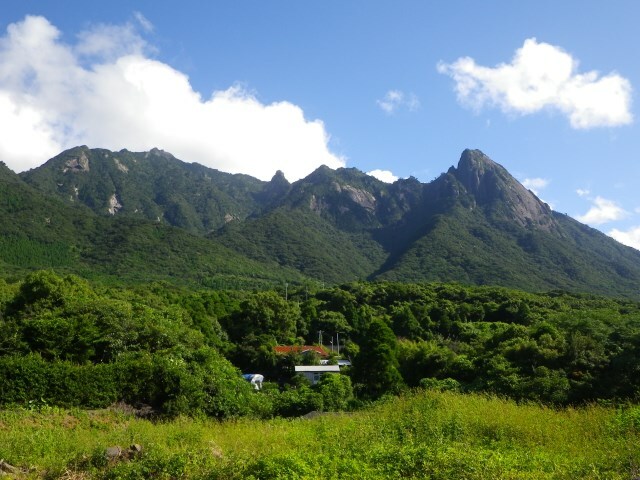 Mocchomudake lies on the south-east coast of Yakushima and provides stunning 360 degree views of the coastline and surrounding countryside from its peak. Try to pick a clear day - there is arguably no point slogging up for no view, and the peak can be scary in wind. Most of the walk is steep uphill, climbing 700m in just 2.8km. You are surrounded by thick and fascinating ancient forest until you reach the final rope section that takes you over boulders to the peak, so the slog up can get a bit dreary until the final (dramatic) pay-off. Tree roots provide natural (if potentially slippery) steps for most of the walk with some short stone sections and some exposed rope sections (none of which are excessively challenging) near the top. Have a look at TripAdvisor - there are tens of millions of reviews, so you may get good, current views on this area. 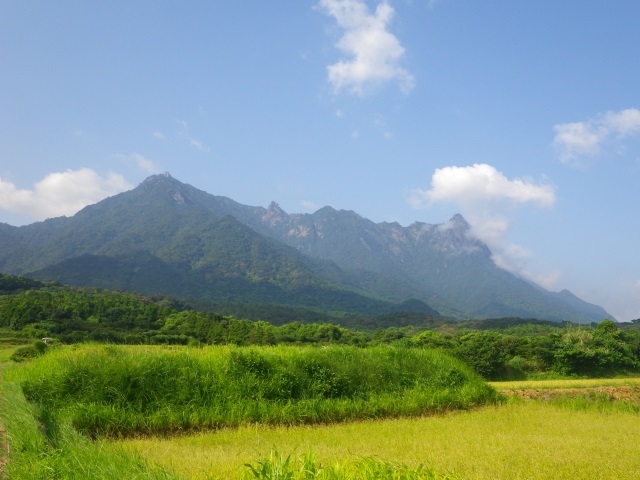 For more information and photos, including detailed practical information and some warnings, see our Yakushima walk page.